If there’s one thing parenting can be, it’s tricky. I (Jenn) only have a toddler and I know that’s already so, so, SO true. 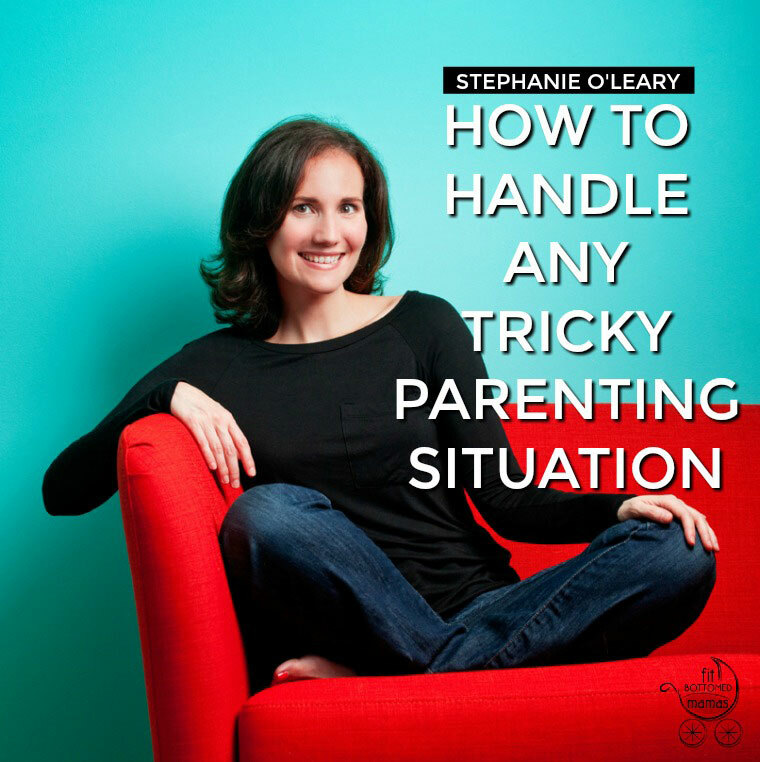 Which is exactly why we wanted to share these tips from parenting expert, clinical psychologist and mom of two, Stephanie O’Leary. 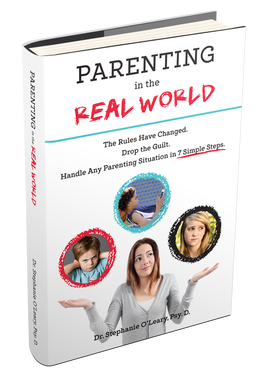 These simple steps on how to handle any parenting situation come from her new book Parenting in the Real World. 1. Listen. Pause and listen to your child before springing into action or firing back a response. This means zipping your lip, biting your tongue and accepting that a little parental silence can go a long way. 2. Let your kiddo know that you “get it.” Validate your child by repeating back a bit of what he or she said, even if you disagree or know they’re completely off base! This will open your child’s ears so your great suggestions are actually heard. 3. Treat them with respect. Talk to your child the same way you would to a friend or to someone else’s child. Use this rule of thumb: If, in the future, it wouldn’t be okay for your child’s significant other to say it, you shouldn’t say it either. 4. Set limits and boundaries. Choose limits that you’re willing to keep based on the situation at hand, not what happened yesterday or last year. This teaches your child that limits and boundaries are flexible, necessary, and that he or she can handle them. 5. Take responsibility. Own your successes and apologize for your mistakes. Give yourself a do-over if you need it. Know that genuinely apologizing to your child is one of the most powerful things you can do, and the best way to teach your child to be accountable. 6. Practice self-care. Take great care of yourself so you can take great care of your kids. Know that even the best parenting plan or strategy won’t work well if you’re always exhausted or depleted. Make self-care a priority and do it unapologetically — your kids are counting on you! 7. Have fun! When things get busy, it’s all too easy to get caught up in the routine and overlook the fact that your kids are fun. Don’t be afraid to stop the daily grind to laugh or get silly. Take time to notice the little things your child does or says that bring you joy. Thank you so much for sharing these tips! Using them together on a daily basis is almost the perfect recipe for a successful relationship with your child; however, the reality is we’re all human and have off days. Giving ourselves and our children grace will help us overcome the difficult days. I appreciate your knowledge! I look forward to applying these steps to handling my daily situations with my kids.